Pollution and energy scarcity are becoming insurmountable issues that threaten our environment. As global citizens, it is our responsibility to contribute to energy conservation by choosing to buy eco-friendly products. After all, we cannot blame it all on corporate companies, since we are equally responsible if we knowingly invest in products that are born out of harmful manufacturing processes. Greenpeace is a leading global voluntary organization that campaigns on environmental issues such as global warming, deforestation, overfishing, commercial whaling, genetic engineering, etc. Greenpeace has published “The Guide to Greener Electronics”, which ranks leading mobile phone, PC, TV, and game console manufacturers on their environmental policies. A few of the leading environmentally responsible companies have been ranked in the Greenpeace Guide to Greener Electronics on the basis of three criteria: energy, product design and sustainable operations. Wipro Ltd is an Indian multinational information technology, consulting and outsourcing Service Company. Wipro is one of the most eco-friendly tech companies internationally. It retained the first position in the India edition of the Greenpeace Guide to Greener Electronics with 5.4 points and became the only Indian company listed on the international version with 7.1 points. As per the energy criterion, Wipro is the top scorer its commitment to reduce its greenhouse gas (GHG) emissions by 44% by 2015 from 2008, the highest among Indian companies. In terms of product criterion, all of Wipro’s new products met the Energy Star compliance, giving it a score of 10/16. In 2010, the company launched a new range of eco-friendly Wipro Greenware desktops that are produced with materials completely free of toxic chemicals like polyvinyl chloride (PVC) and brominated flame retardants (BFR), for the first time in India. Wipro considers the launch of these carcinogenic-free products a major breakthrough in its clean production policy, which ensures that the recycling of electronic products is safer by reducing the exposure of poisonous chemicals. HCL is a leading Indian technology and software enterprise that operates in 31 countries. It stands at the second position of the Indian GGE guide, with a score of 4.3, performing well on the energy criterion. HCL’s performance is average as per the product criterion. However, there are a few negative aspects as well that reduce its score in fields of recycle management, product lifecycle etc. It has a score of 7/16. As per the sustainable operations criterion, it has done well and is almost as good as Wipro. It has convenient take-back service, chemical management policy etc. HCL performs well on its products since it is the first company in India to produce BEE Five Star-compliant laptops, which is the highest energy-efficiency standard in India. Nearly 55% of its products meet the ES-5.0 standard and it is also the first company in India to bring out a PVC-BFR-free and REACH Compliant laptops. Chirag Computers is at the third position with the score being 0.6 points. It scores points on clean energy plan, chemical management policy and for providing voluntary take-back services. On the energy criterion, Chirag Computers score points for making an investment of INR250 crore for the direct generation of 15 MW electricity from solar power in the next 3-5 years. Chirag’s Greenputers Eco-Edge series of desktop PCs offer an energy-saving ‘Eco-green sleep mode’ integrated into Windows 7 operating system that is designed to sleep and resume at will. However, Chirag fails to score any point on the products criterion. The main reason for this is the lack of clear and substantiated information. 2/26 in sustainable operations and 2/26 in energy is its only saving grace. 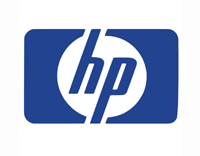 Hewlett-Packard is an American multinational corporation that offers a diverse range of electronic products in India. HP stands at the second position in the GGE guide with 5.7 points, but it still has a long way to go, since it is way behind the leader, Wipro. HP achieves a good score of 16/32 as per the energy criterion due to its clean electricity plan and innovative programs for measuring GHG emissions. HP scores well in sustainable operations as well with a score of 15/21, while it scores the least in the products criterion with a score of 8/16. The company’s ‘closed loop’ ink cartridge recycling is an innovative recycling process that incorporates recycled plastics into many of new HP ink cartridges, while meeting rigorous performance standards. Similarly, HP offers an ultra-slim HP desktop PC that is Energy Star qualified and EPEAT Gold registered. 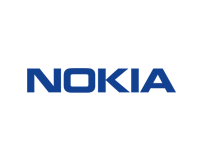 Nokia is a Finnish multinational corporation that mainly provides telecommunications network equipment and services. The company stood at the first position in the GGE guide over the past few years, but it fell down to the third position in this edition with a score of 5.4. Nokia gets satisfactory scores in 15/32 in energy and 9/16 in the products criterion due to innovative methods for reducing GHG emissions, clean electricity plans, product energy efficiency, and the least amount of hazardous substances in its products. However, it still needs to work on its recycle management, product life-cycle and clean energy policy. The company scores the highest (13/21) is in sustainable operations due to a good take-back policy and policies on chemical management. Nokia has reduced the contents inside its product packaging, allowing it pack products in a minimized package, which is made of 100% recyclable material. Further, Nokia Lumia 1520 is its first phone that uses recycled plastics in the product cover and recycled metals in its inner parts. 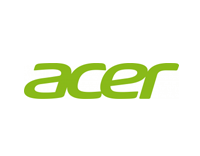 Acer Inc. is a Taiwanese multinational hardware and electronics corporation. With a score of 5.1, it is on the fourth position on the international list. Acer has set impressive GHG emission reduction targets, giving it a good score of 17/32 on the energy criterion. Acer has scored a little above average in sustainable operations with a score of 11/21. This is mainly due to its policies on chemical management and conflict minerals. However, it scores 7/21 in the products criterion, where good product energy efficiency is its only saving grace. Recently, Acer’s V6 series computer monitors have been awarded with the 2014 Global Efficiency Medal by the Super-efficient Equipment and Appliance Deployment (SEAD) Initiative. Further, ergonomic design and eco-friendly construction details have earned these monitors the EPEAT Gold ranking and are TCO Certified. 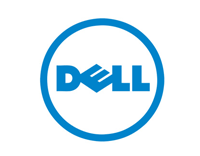 Dell Inc. is a multinational computer technology company based in the U.S. The company scored average points of 4.6 to finish at the fifth position on the international GGE. In the energy criterion, Dell has scored 13/32, because of its targets for reduction of GHG emissions as well as its clean electricity plan. However, the company scored low points in its products criterion with a score of 5/16, performing poorly in all fields in this criterion. Dell has performed exceptionally well in terms of operations with a score of 14/21, based on its sustainable sourcing of paper fiber. The company performed well on its chemical management and avoidance of conflict minerals, while scoring average for its take-back service. 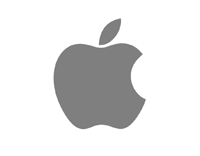 Apple Inc. is an American multinational corporation that sells computer software and hardware. On the international list, Apple stands at the sixth position with a score of 4.6. On the energy criterion, Apple scores poorly with a score of a mere 9/32. However, the company has performed moderately in sustainable operations with a score of 11/21, by formulating the policies for avoidance of conflict minerals. Similarly, a better performance is seen in the products criterion with a score of 11/16. Exceptional scores are earned in the fields of product energy efficiency and avoidance of hazardous substances in products. 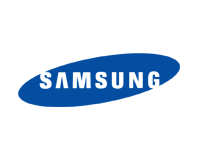 Samsung Group is a South Korean multinational conglomerate, which provides electronic equipments as well as telecommunication products. On the energy criterion, Samsung has performed poorly with score of 8/32 due to bad performance in all fields. However, a reasonably good score of 9/16 is seen in the products criterion based on its products’ energy efficiency. Samsung’s Energy Star-compliant LED TVs are mercury free, and use 40% less power than 2008 Samsung LCD TVs in standard mode. The maximum points are scored for sustainable operations – 12/21. The main reason for this is a good take-back facility and average performance for chemical management and avoidance of conflict minerals. Samrudhi Khanna is studying Financial Markets at Narsee Monjee College of Commerce & Economics in Mumbai. She is a typical Mumbaikar with a frank attitude and a candid behavior. Besides that, her interests lie in writing, literature and dancing. Trained in 4 forms of dances, she is a content writer for many websites. Reading is second nature to her – classic literature, Austen, Archer, Bronte Sisters and Sheldon are her best friends!